GOOD DIVORCE OR HEALTHY DIVORCE? I was having a conversation with a divorced man yesterday, his ex-wife being one of my close friends, and I was surprised to hear what he had to say about his divorce. He thought his divorce was pretty good because they agreed on the financial settlement and did not bleed one another. However, he forgot to mention all the nasty emails that he keeps sending his ex-wife. He forgot to mention that he planned a birthday party for his daughter and forbid her to come. He forgot to mention that his new wife can’t stand his kids. He forgot to mention that if he sees his ex-wife, he will not say hello. That made me think about what a beautiful divorce is. Maybe I should call it a healthy divorce. I am all about creating healthy lately. It is all about the relationship, no matter what they are: With my kids, with myself, with my ex-husband, with my family, with my friends, with my co-workers and anyone else that I need/want to have a relationship with. All of them are relationships. They are no different, besides the intimacy level with each group. Since my divorce, I have been working and reflecting on what is a healthy relationship? I got very clear that there is not one answer, and that what is healthy to you is not the same for me. I looked back and assessed what was not working in my life. What I was letting people do to me, and what I was doing to other people, as well as myself. I have observed and asked questions to married couples that seem to have it together. I learned that what they have working for them, may not work for me. I learned that I needed to create my own definition of a healthy relationship. 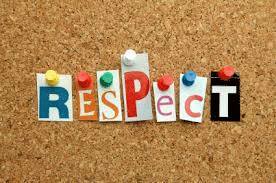 One of the first traits of a healthy relationship for me is Respect. Respect is a huge word on its own. What does it mean to me? • To feel secure to be vulnerable and know that you will not take the information and use it to hurt me when you are upset. • To accept my past as things that I have done, not who I am now. • To not judge. We all do the best that we can. • To respect my boundaries. • To ask me before accusing or assuming. I am sure this list will keep growing with time, as I determine what is healthy for me. Right now, it helps me define how I want my life to be, and it sure helps me by cleaning out what I don’t want anymore. Next PostNext DATING WITH CHILDREN?